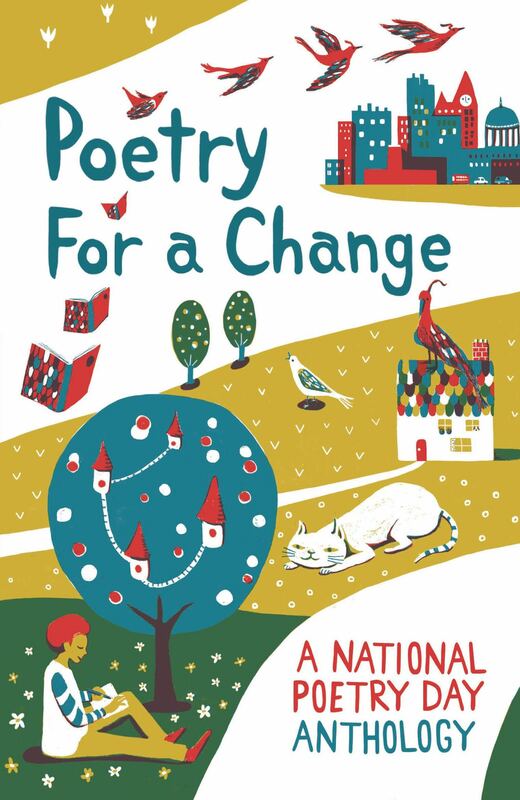 Win a copy of Poetry for a Change! It’s National Poetry Day on 4th October, a day for everyone to read, write and share poetry. If you looking for poems to read, don’t miss the brand new anthology Poetry for a Change. Published specially for National Poetry Day, it features new poems by lots of our favourite poets including Matt Goodfellow, Michaela Morgan, Joseph Coelho, Remi Graves and Joshua Seigal. They’ve also chosen poems on the theme of change, that have inspired them. We have three copies of this fabulous book to give away! All you have to do to be in with a chance of winning is tell us what you are going to be doing to celebrate on National Poetry Day. You might be going to hear a poet, writing poems, or just reading a poem – we don’t mind! Write and let us know by emailing poetryday@forwardartsfoundation.org by Friday 28 September. Make sure you get your parents’/guardians’ permission to enter. We’ll pick three names out of the hat and send the winners their books in time for National Poetry Day. Good luck and happy poetry reading! 2. The competition period will start at 9am on Tuesday 18th September 2018 and end at midnight on 28th September 2018. After this date no further entries to the competition will be permitted. 4. The Competition is open to children aged 11 and under on 18th September 2018. 5. The Competition is only open to entrants in the UK. 6. By entering the Competition, you accept these terms and conditions. 7. Each qualifying entry will be entered into a competition to win one of three copies of Poetry for a Change. 8. There will be two winners. 10. The Winner will be notified via email no later than 2nd October 2018. If the winner cannot be contacted or does not claim the prize within 7 days of notification, the Organiser reserves the right to withdraw the prize from the winner and pick a replacement winner. 12. National Poetry Day shall not be responsible for any inaccurate contact details provided by Qualifying Entrants/Winners in accordance with paragraph 10 above, which results in the Prize not being delivered. 13. The Prize is non-transferable and non-negotiable. No cash alternative will be offered. 14. National Poetry Day’s decision will be final and binding. No correspondence will be entered into. 15. These terms and conditions are governed by the laws of England.